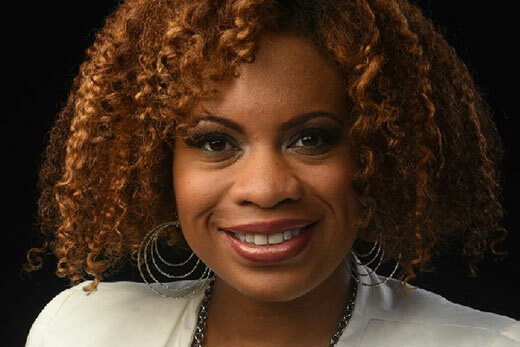 Chimi Boyd-Keyes, a consultant, diversity trainer and previous director of the Women’s Center at North Carolina Central University, will present the RespectCon keynote address on April 1. Now in its fifth year, the annual conference was created by Emory students to help foster conversations around the intersections of social justice with sexual assault prevention on college and university campuses. The Respect Program is Emory’s central hub for interpersonal violence prevention and survivor support and resiliency. Activities kick off Friday, March 31, with a Pre-Conference Summit for professionals from 12:30 to 6 p.m. in the Emory Conference Center. The event will focus on changes happening on federal, state and local levels surrounding sexual violence prevention and survivor support. The event continues Saturday, April 1, at 7:30 a.m. with registration and welcoming remarks. At 9 a.m., Chimi Boyd-Keyes, a consultant, diversity trainer and previous director of the Women’s Center at North Carolina Central University, will present the keynote address. She is credited with creating one of the first bystander intervention programs in the nation for historically black colleges and universities, and has extensive experience creating and sustaining nonprofit organizations dedicated to supporting marginalized women. A luncheon keynote will feature Kim Katrin Milan, co-founder and executive director of The People Project, an initiative supporting local and international community development for queer and trans people of color through education and art-activism. Milan dedicates her time and resources to nonprofit organizations that highlight trans and queer voices and keeping community members safe from violence. The day’s programs will focus on understanding the connections between sexual violence and other forms of oppression, connecting violence prevention to broader structural inequities and social justice movements. “Our aim is to create a unique environment for participants to share information and exchange ideas on preventing sexual violence and creating more survivor-supportive and socially just institutions of higher education,” Swan says. In response to the intensity of the work, Swan says the conference will also offer time for networking, relaxing and decompressing, including a social at the Emory Conference Center’s bowling alley, Wisteria Lanes, on Friday night. “We are well aware of the current political climate and how it directly affects the role of advocates and prevention experts,” Swan says, noting that RespectCon "is one of the few places where we can come together in a safe space and unpack all that has happened in the last year. “We don’t know what the future holds, but we’re used to fighting, so we’re not scared,” she says. The conference is open to anyone involved in college and university sexual violence prevention and response work, including directors and coordinators of campus-based sexual violence-related programs, undergraduate and graduate students, and community organizations that work with college campuses. Last year’s conference welcomed more than 150 participants from some 20 organizations based in over a dozen states. "This year, we’re seeing a lot more students coming from across the country,” Swan notes. "Simply put, everyone is a stakeholder in this work to end violence and we seek a diverse group of attendees at RespectCon,” Swan says.